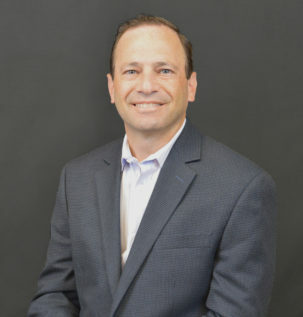 Jan Dulman - Rosenfield & Co.
Jan began his career at a small public accounting firm in Stamford, CT where he was able to work hand in hand with business owners and understand all aspects of accounting and reporting needs. Motivated to sharpen his skills with larger and more complex businesses, Jan left public accounting to work in-house with Bank of America where he managed the accounting functions for all branches in seven states as well as a portion of the bank’s treasury accounting. From there, he joined UBS AG where he was involved in compiling and filing all regulatory reporting obligations. Jan returned to public accounting for two more years at a mid-sized firm in Manhattan, NY so he could attain his CPA license which he received in 2001. Jan was asked to join a public gold and mining exploration company as the Controller in 2005 and became the CFO in 2007. Jan credits this position for allowing him to assist his clients by assuming an outsourced CFO role which he continues to do on a limited basis still for this company. In 2010, after being asked to assist various businesses in an outsourced CFO/Controller role, Jan started a new CPA partnership which encompassed his variety of skills and background. Jan’s mentality has always been to provide his clients with small firm one-on-one support with still providing the large firm ability. This mission allowed his firm to thrive from its inception to include an influx of multiple client referrals from other small and larger CPA firms. Jan’s CPA partnership merged with Rosenfield & Co, PLLC in 2015 where Jan now represents the firm out of the Greater New York area as Partner. When not at work, Jan is devoted to his wife, two daughters and dog. He has coached the majority of all of his daughters’ sport teams. To get some alone time, Jan enjoys playing ice hockey and golf.